How did the Bad Boy deal come about? I bumped into [Diddy] in Vegas. He told me that he’s been looking to meet me. He was looking for me, so I gave him my number and he called me that same night. He was like, ‘Look, we about to leave.’ I had my flight in the morning, so he said, ‘We about to take the G5 back. Ride with us and let’s talk.’ I went with him, and we spoke. Ever since then it’s been history. Diddy said, 'We about to take the G5 back. Ride with us and let’s talk.’ I went with him, and we spoke. Ever since then it’s been history. It’s been rumored time and time again that Bad Boy artists don’t always have the best of luck. Did you have any reservations about signing to the label? Of course [I had my reservations about signing to Bad Boy based off their reputation]. Anybody would. That would just be the obvious. My new thing is, I don’t judge my relationship on everything that came before me or after. I’m gonna judge you on how you and me do business. I feel like, a person will only do something to you that you’ll allow him to. I don’t understand how somebody can jerk you [on a deal], and you looking at the contract the same way they looking at it. I think everything is going to be straight. I think I have a good team and good management, shout-out to Mizay [Entertainment]. I got Ross with me, Diddy with me, and the whole Coke Boys, Chinx Drugz, Flip—we got a powerful team. I don’t think one person can stop that. 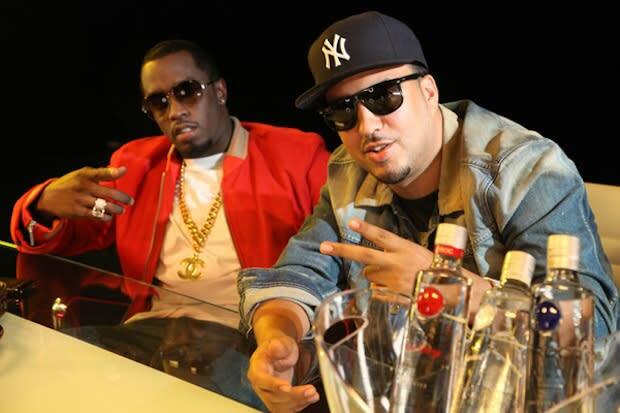 I always been a fan of Diddy, so when I met him it was like—a lot of people get it fucked up because they think that he’s a corporate guy and this and that. He’s just like me, a regular cat. He humble.